After countless cups of coffee and talking to many of you, we’re happy to announce the public availability of AVLView 7.0. Please click here to run the beta. It’s taken us over a couple of years to rebuild everything from the ground up; the Backends, APIs, Web platform and more. Our meeting rooms became warzones and scrum meetings broke into murmurs. Weekdays stretched out, weekends shortened; GDPR became a reality. We improved our system engines, back-end structure, and the User Interface to meet the standards. The new platform is 3x faster, and it is rebuilt for ease of use, performance, and scalability. This release is a major one with some breaking changes and hence, we’ll all have to move away from the existing version to 7.0 sooner. By switching to it, you should be able to see immediate improvements in speed, performance, and agility. In the process, you get actionable data on your fleet operation. While the look and feel of the platform would be the same, the backend engine has been ported from the relational database to new age NoSQL. This helps us scale up the platform availability and functionalities in many more ways, and paves the way for a genuinely ad-hoc experience in terms of generating required Reports and Analytics. The APIs too shall be upgraded to TLS 1.1 or higher in order to align with industry best practices for security and data integrity. We are also announcing our intent to no longer support any non-secure HTTP connection, so Objects API, User API, Webhooks API and Code Blocks will be available only over HTTPS as of 1st November 2018. We’ll release the API migration guidelines soon, and you should have ample time to switch. AVLView ver 7.0 – Reports have changed, so do alerts. All designed and built to catch up with your needs, as exactly as you wanted them to be. 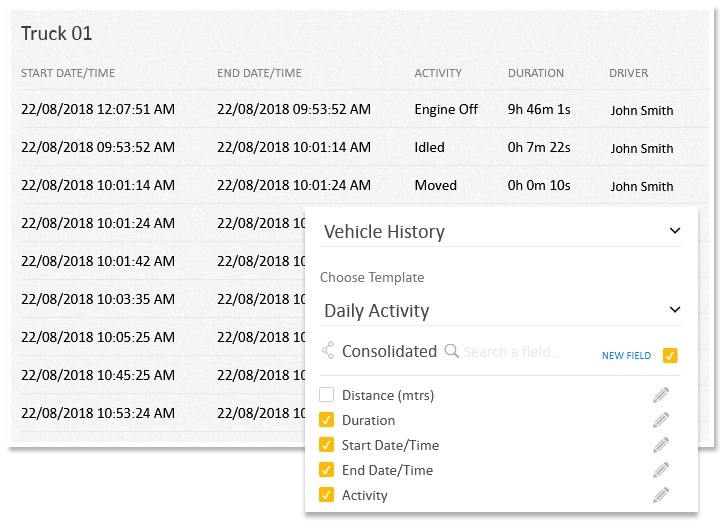 These Ad-hoc reports and user-defined Alert rules help you create and trigger meaningful vehicle insights and notifications purely based on what your business goals/operations demand. 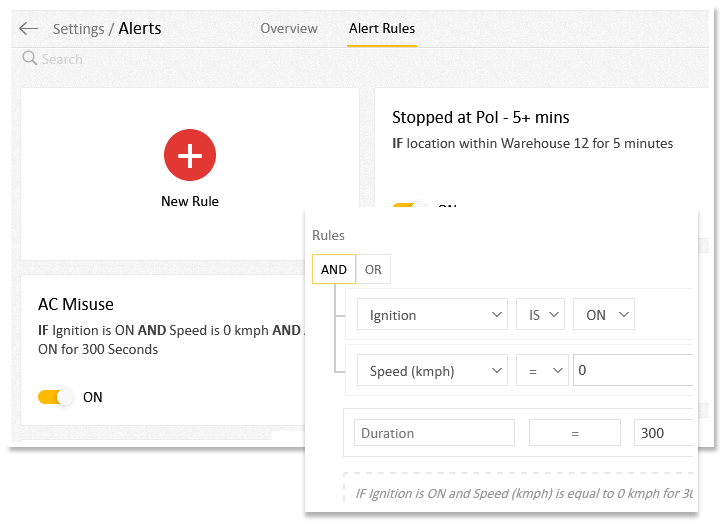 Custom rules let you create alerts on your own and assign it to a vehicle/group of vehicles. You get immediately notified on violations via SMS/Mobile, Email and/or In-app Popups. Apart from the 20+ predefined report templates the system offers you, you can create any number of reports by choosing columns, totally depending on what exactly you want to know, or what data helps you grow your business. Previously scattered throughout the two pages ‘Administration’ and ‘Management’, you were mostly struggling to manage your account settings. We brought it all together to one single page, ‘Settings’. We did not stop at mere settings consolidation but categorized into various segments based on their nature and role. 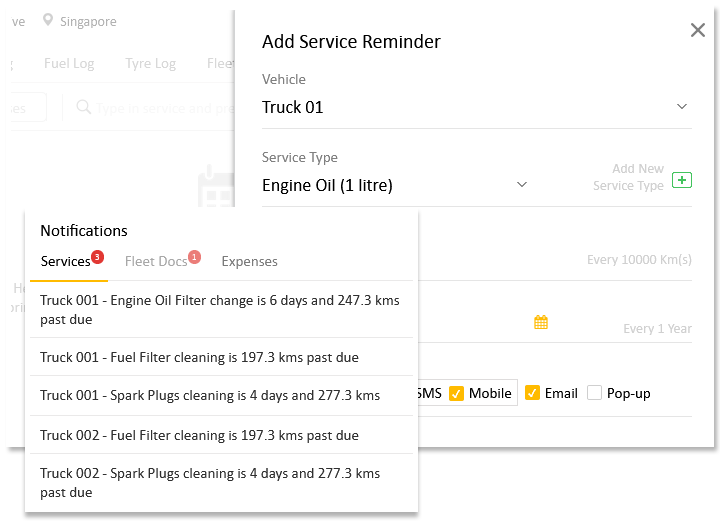 A more organized Service and Maintenance page help you manage your vehicle periodic services and maintenance info more quickly with authority. You get quick access to historical logs of what services have been done previously, when were they did and when are they due again. Configure reminders with ease whenever a service (e.g. Oil change), fleet document renewal (e.g. Fitness certificate) or recurring expense (e.g. EMI) is due. 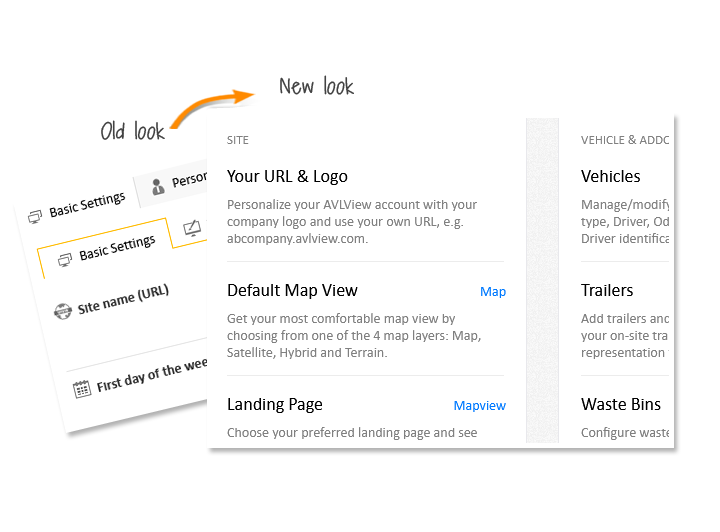 We have several more things on the roadmap for AVLView and it’s Administration (Partner Portal) over the coming months. A Delivery Module, Diagnostics capabilities, Integration with other SaaS tools and more.